$7.00/lb (2.5/lb. avg.) 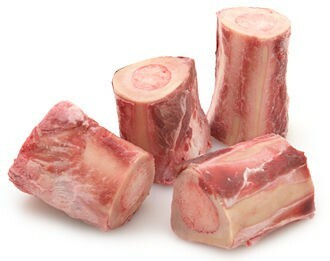 Beef bones, with their natural marrow filling, liven up any kind of stew, soup or stock with beautiful flavor and smooth texture. You can also scoop out the marrow after you have cooked with the bone and spread it on bread. This comes from our cows that are 100% grass-fed/grass finished and rotated on a daily basis.